Peraton and the U.S. Air Force Research Laboratory have jointly developed a tool to facilitate protected data sharing across network security domains. The team created the X-domain Agile Rules-Based Information Transfer Orchestrator technology as part of the Xdomain Technology Through Research, Evolution, Enhancement, Maintenance and Support contract, Peraton said Thursday. X-ARBITOR is based on the Information Support Server Environment platform and designed to support low-impact migration tasks for national security organizations. 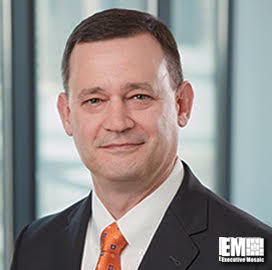 “On-demand secure communications from any network are essential for our military and intelligence community,” said John Coleman, president of Peraton's defense and homeland security sector. Coleman added the partnership seeks to help increase the agility of national security missions. Peraton and AFRL modified the original ISSE CDS suite and incorporated Raise-the-Bar requirements from the National Security Agency’s National Cross Domain Strategy Management Office into the project.